The Untouchable is an engrossing, exquisitely written and almost bewilderingly smart book . . . It's the fullest book I've read in a very long time, utterly accomplished, thoroughly readable, written by a novelist of vast talent' Richard Ford Victor Maskell has been betrayed. After the announcement in the Commons and the hasty revelation of his double life of wartime espionage, his disgrace is public, his knighthood revoked, his position as curator of the Queen's pictures terminated. There are questions to be answered. For whom has he been sacrificed? To what has he sacrificed his life? 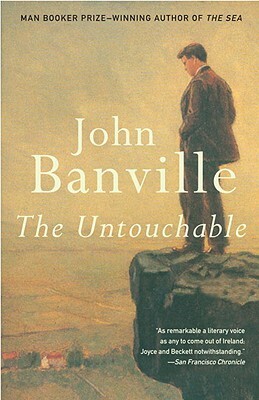 The Untouchable is beautifully crafted novel inspired by the famous Cambridge Spies by John Banville, the author of the Booker prize-winning The Sea.